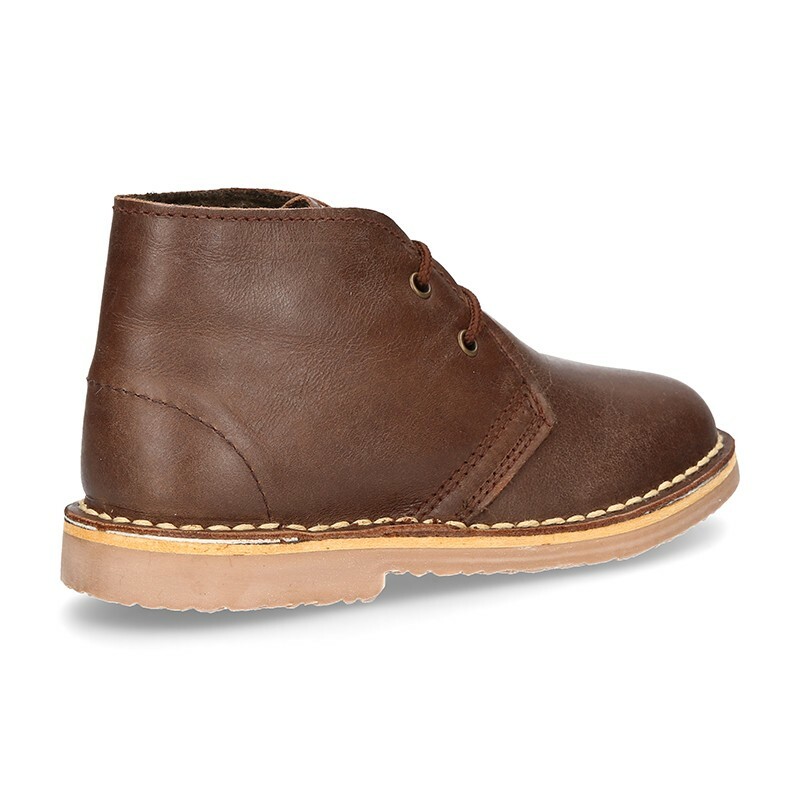 Tienda online de botas safaris pisacacas en piel con cordones y forro de borrego para niño, niña y caballero. 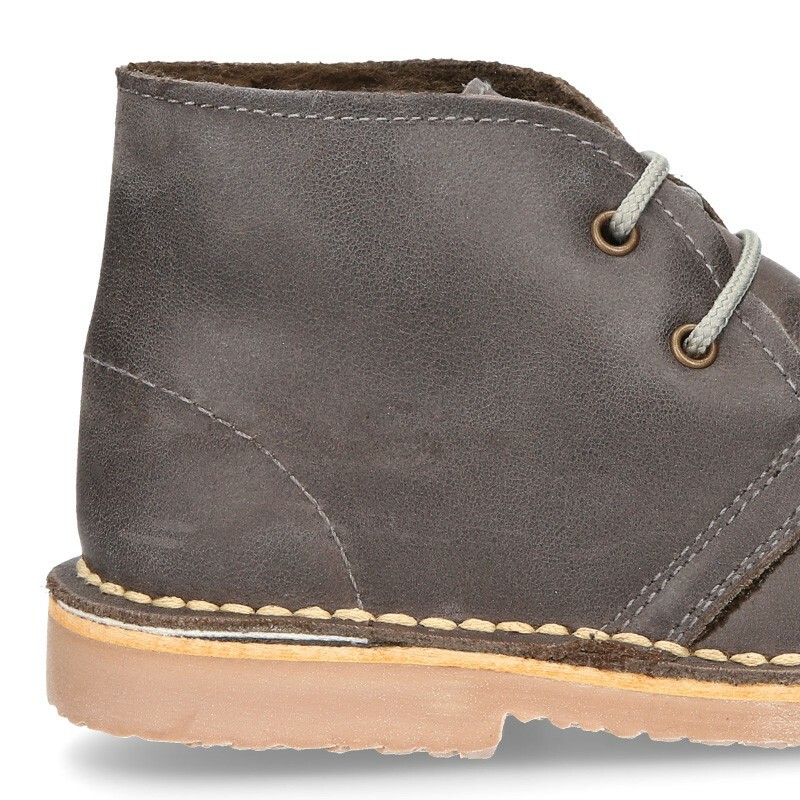 > Toddler girl>Safari Boots>Classic Safari boots with faux fur lining in tanned nappa leather. 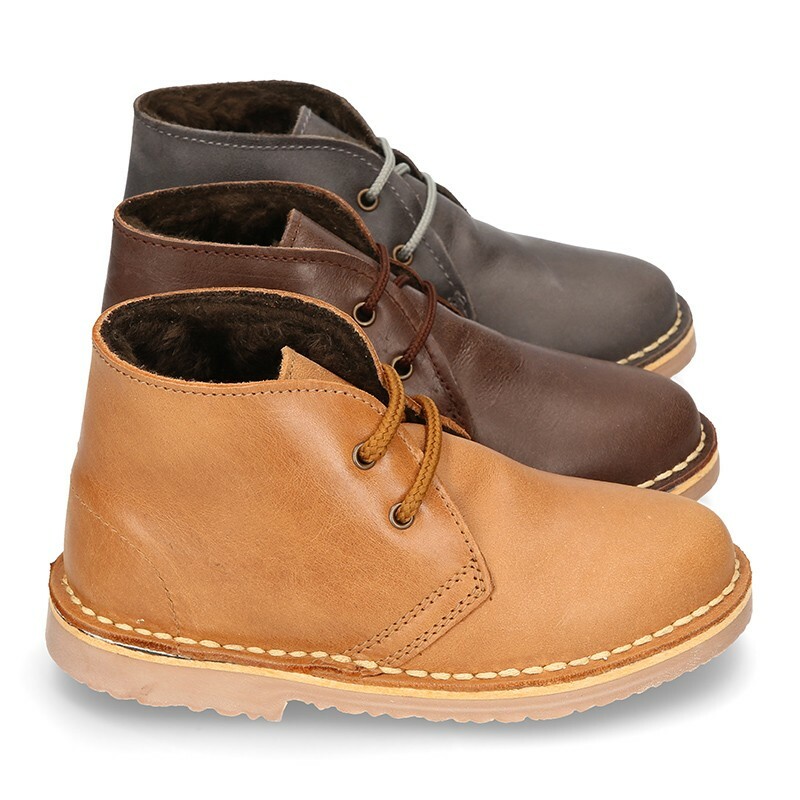 Classic Safari boots with faux fur lining in tanned nappa leather. 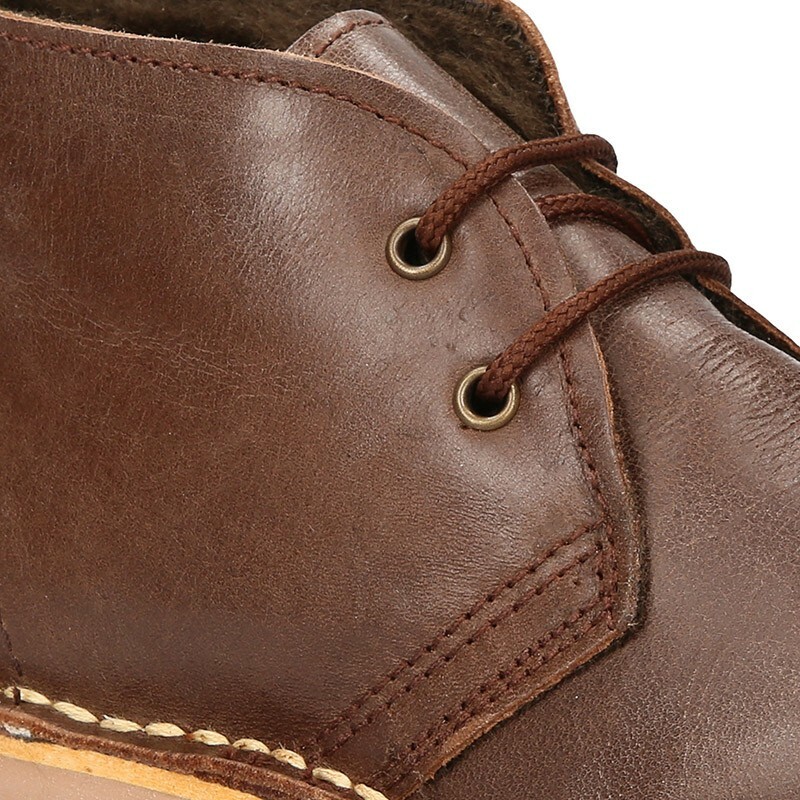 Classic boot shoes with laces and faux fur lining in tanned nappa leather. 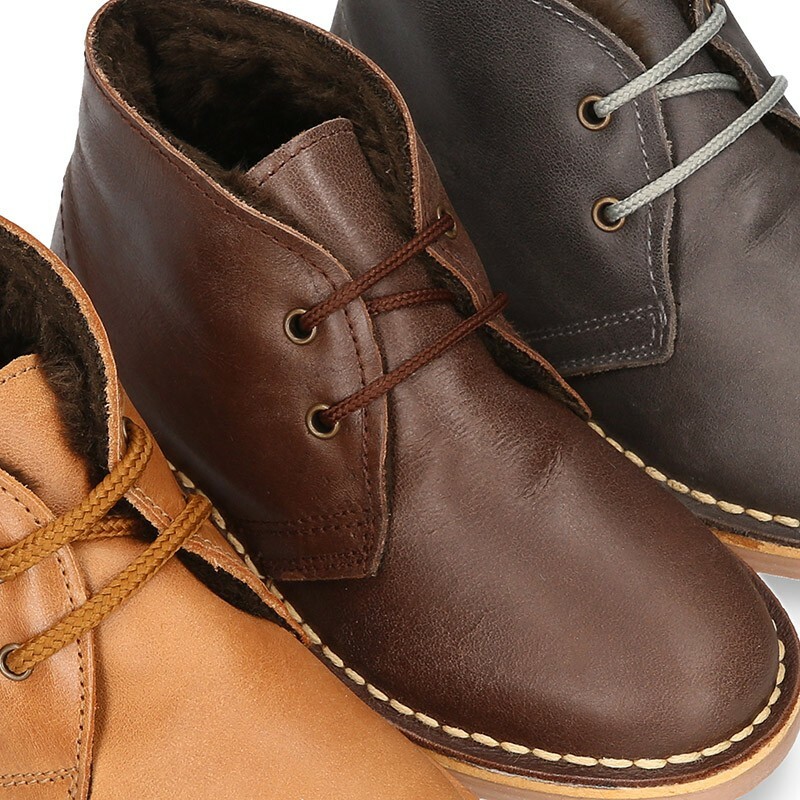 More info about Classic Safari boots with faux fur lining in tanned nappa leather. 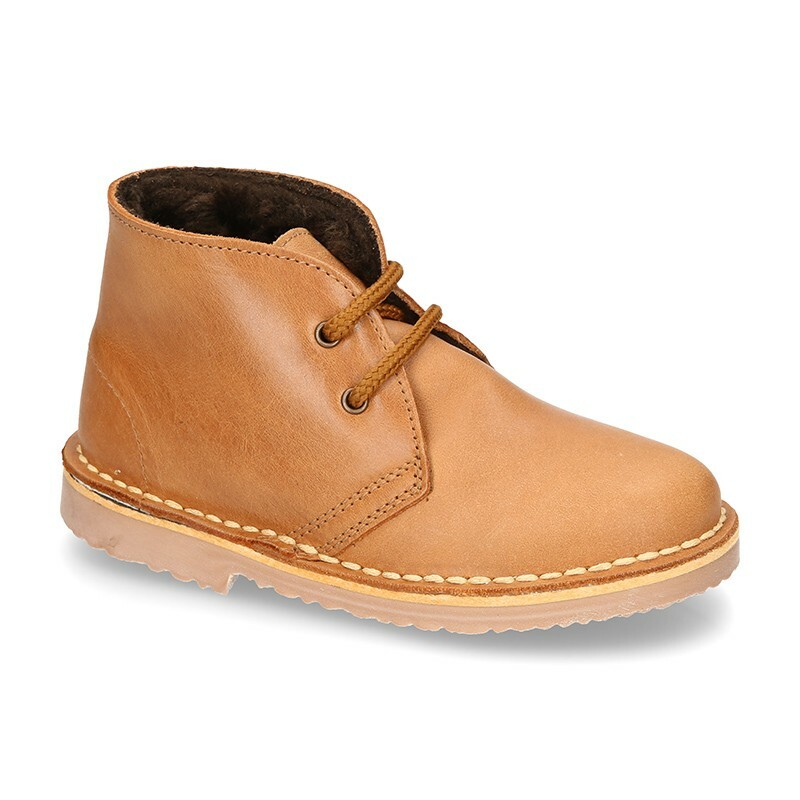 Classic Spanish Safari Boots with laces and faux fur lining in tanned nappa leather for kids and more. 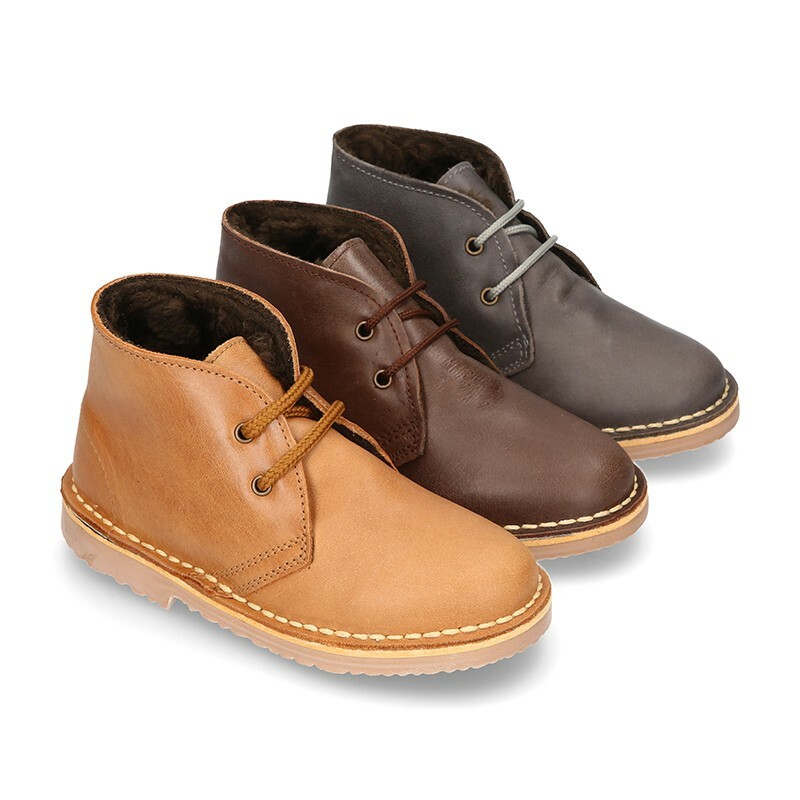 A casual style very comfortable for everyday this season. 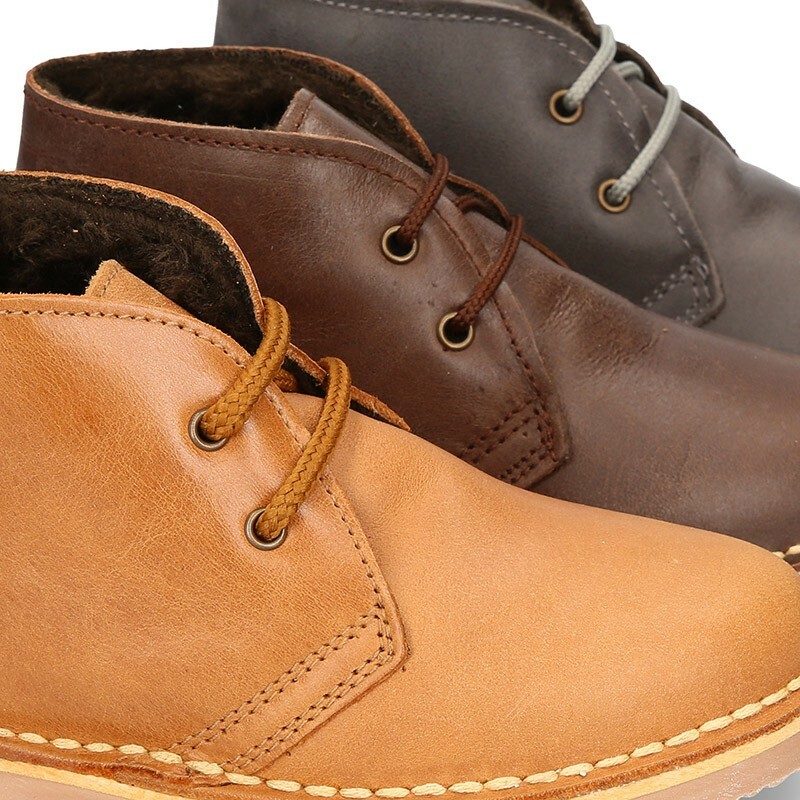 It´s a model very comfortable, and elegant to dress with all their looks this autumn winter. 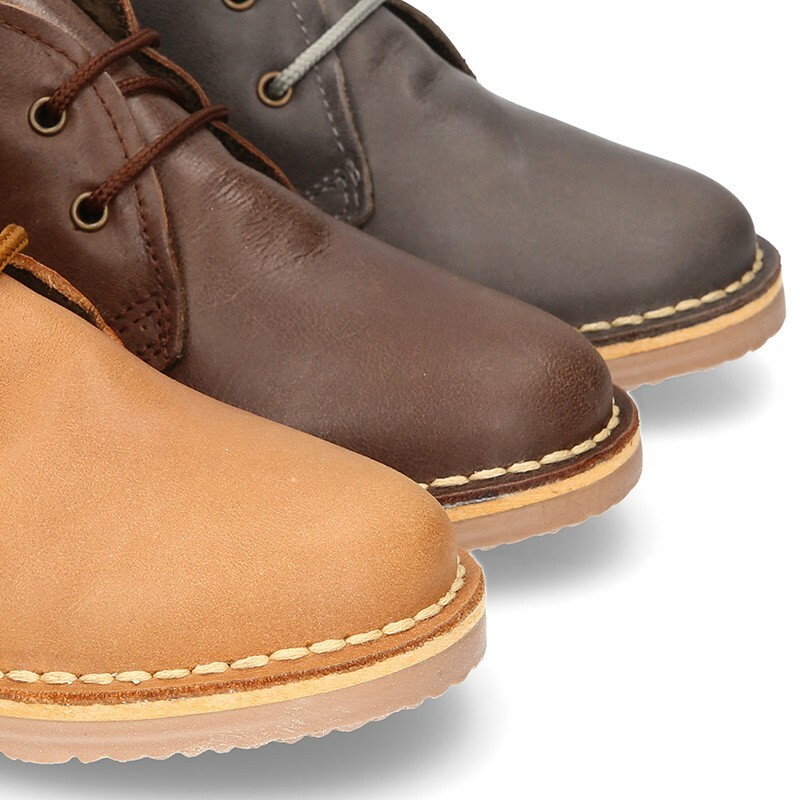 Made up of 100% high quality natural tanned nappa leather with high finishes. 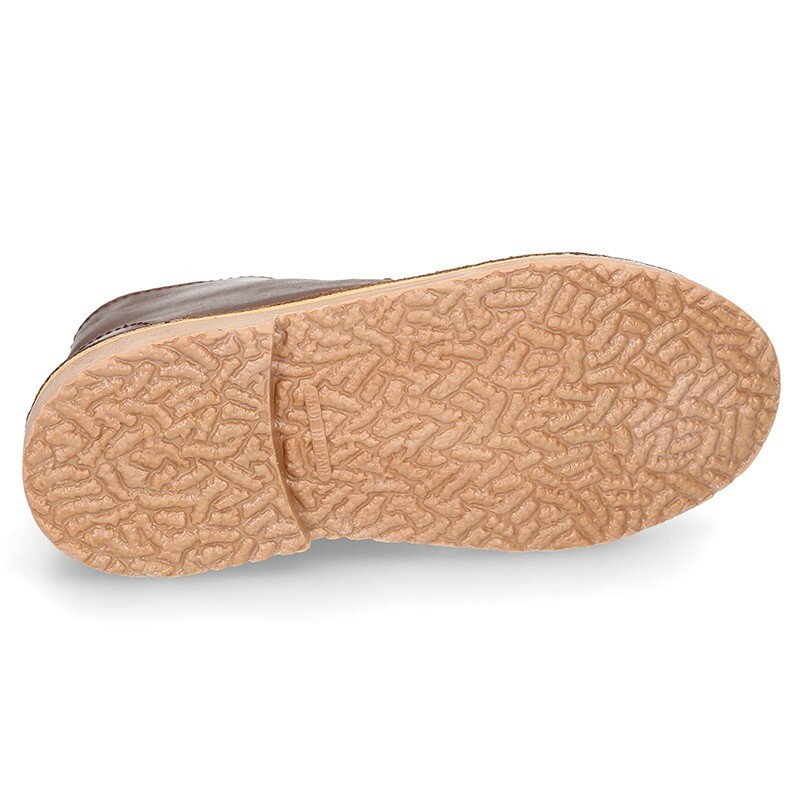 Outsole made up of high quality non-slip flexible rugged rubber in order they can play and walk without any problems. 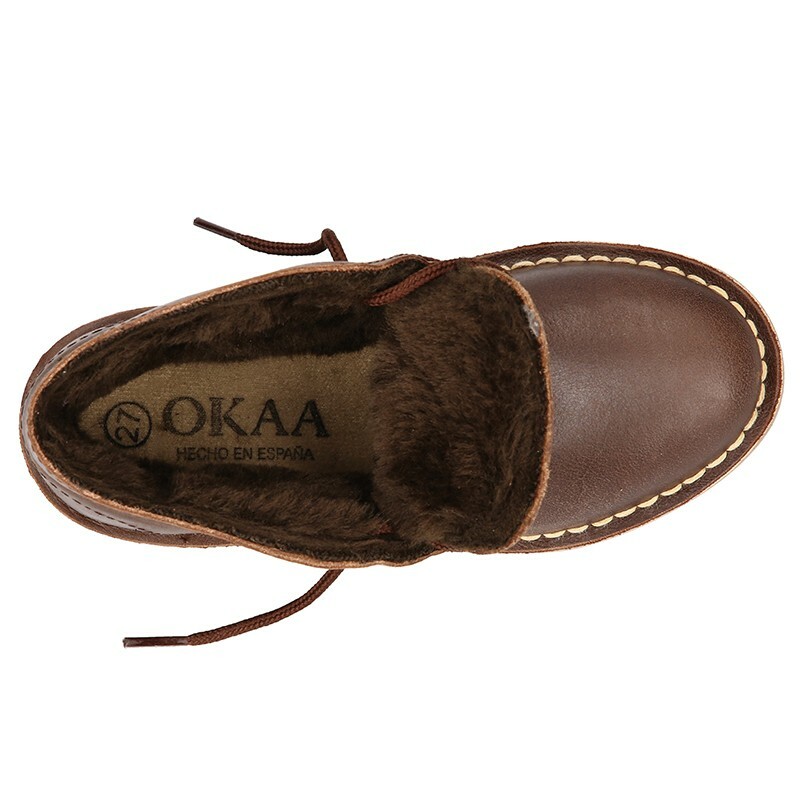 Fully lined in faux fur for a warmer feet this autumn/winter. 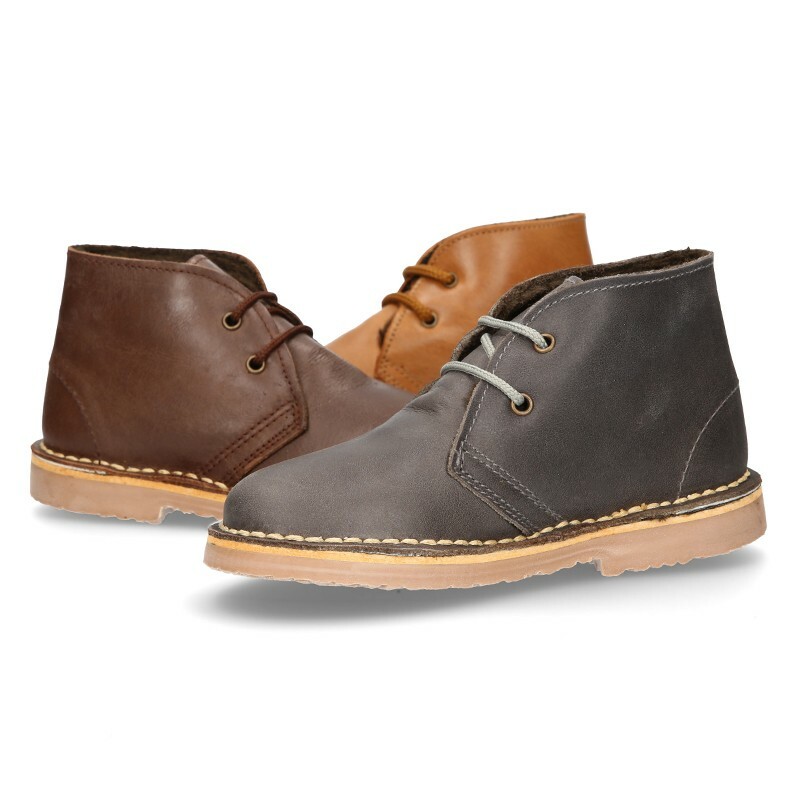 We have up to size 45 available for fathers too. 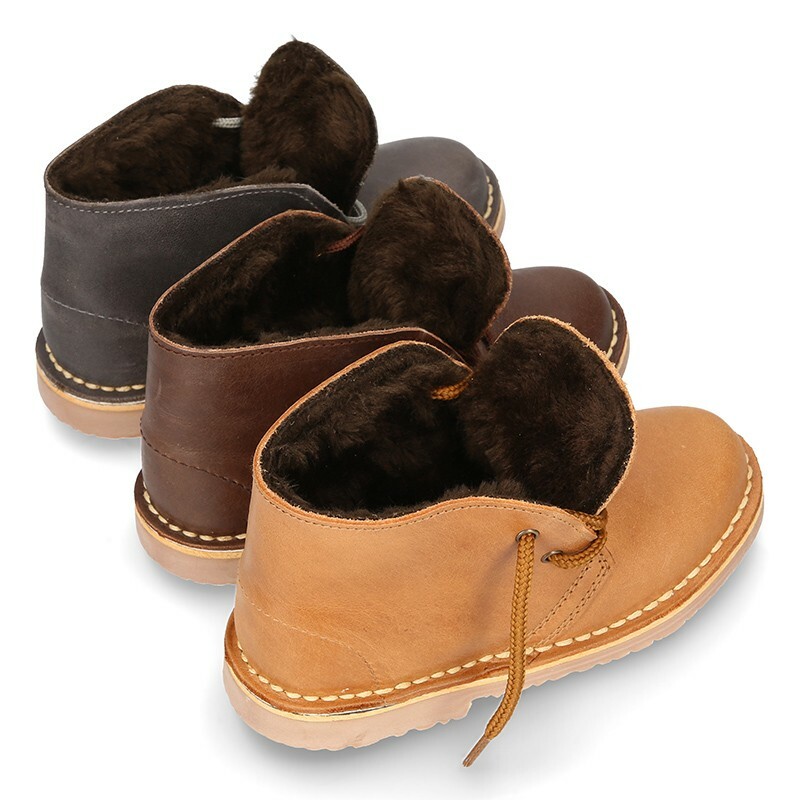 WE RECOMMEND TO CHOOSE A BIGGER SIZE TO THE REGULAR ONE DUE THE FAUX FUR LINING. Available in 3 colors. 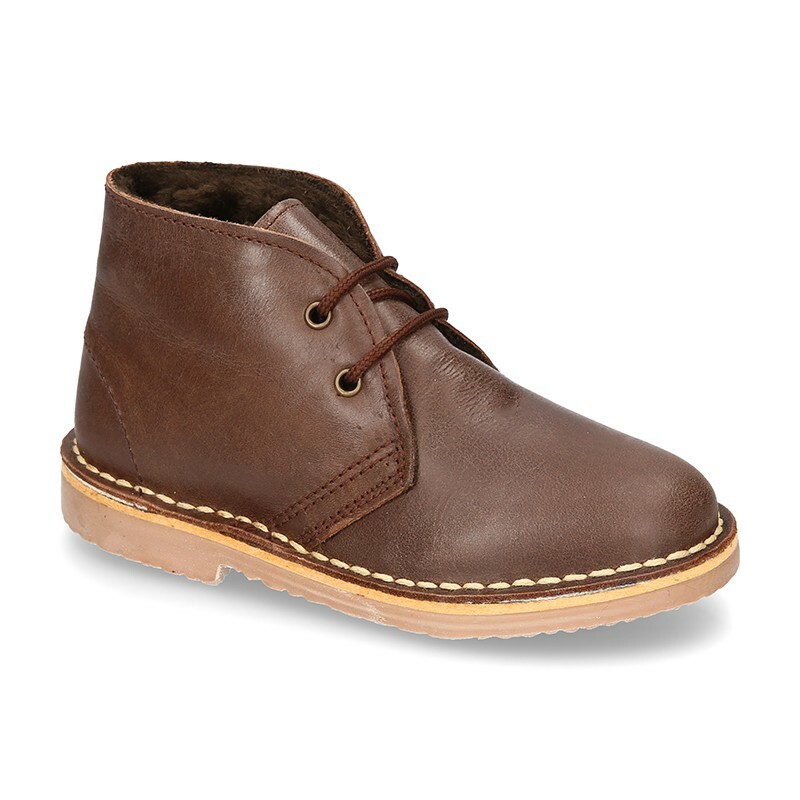 SIZES: FROM 21 EURO SIZE UP TO 45 EURO SIZE. 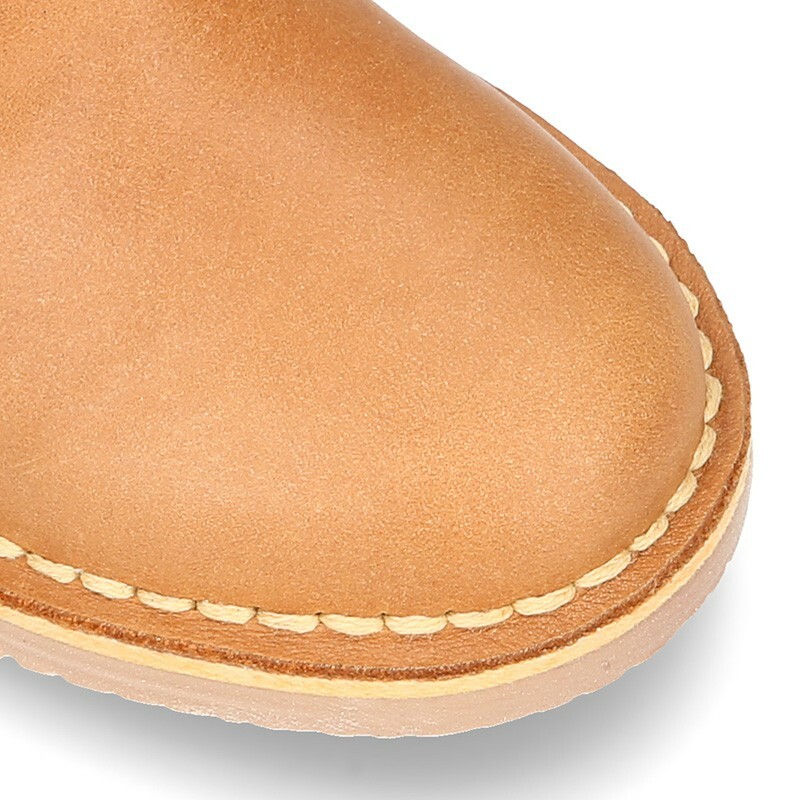 Data sheet about Classic Safari boots with faux fur lining in tanned nappa leather. 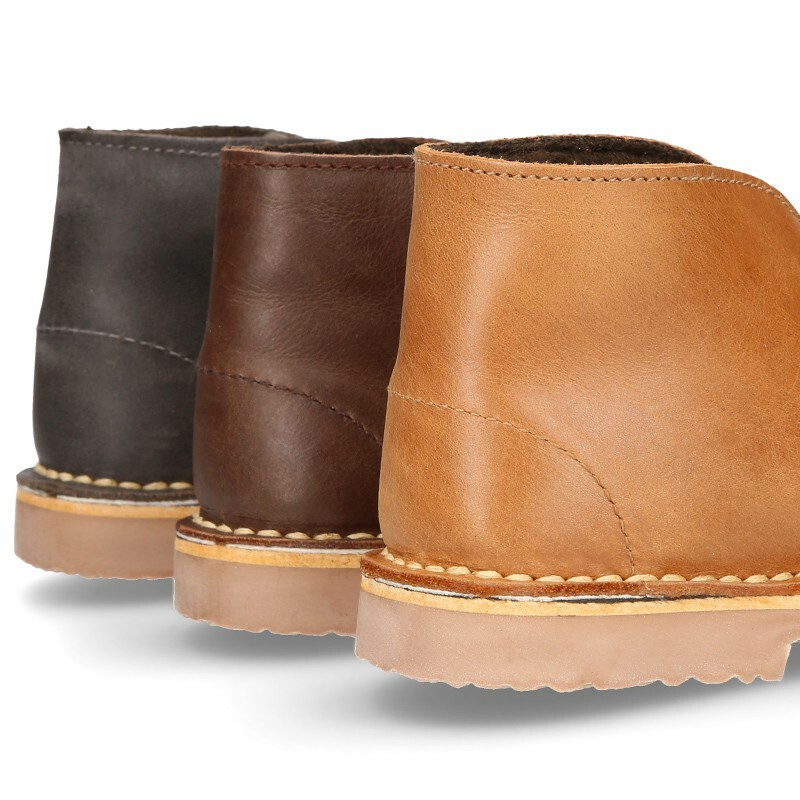 Medidas sobre Classic Safari boots with faux fur lining in tanned nappa leather.